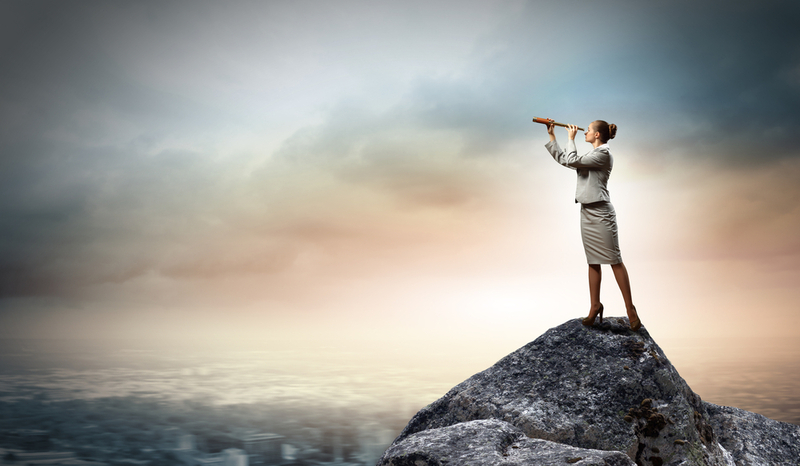 Sales leaders know their current salespeople are prime resources for finding new talent. That’s why many put “refer a friend” programs in place. I often write about this topic because I strongly believe in the power of referrals in all situations – including hiring. My first job out of college came through a referral from my uncle, who knew the buyer at a prominent retail store. The buyer personally introduced me to the head of human resources (only then it was called “personnel’). Because this executive trusted her employee, his recommendation was far more persuasive than any résumé or list of credentials (which was a good thing, considering I didn’t have any yet). Joanna Weidenmiller, CEO and co-founder of 1-Page, presented a unique perspective on these programs when she spoke at the 2015 Sales 2.0 Conference in San Francisco. Afterwards, I got the chance to sit down with her and discuss the topic further. Joanna says traditional employee referral programs don’t work. Most businesses ask workers to post company job descriptions on their social media pages, but employees really don’t want to and many don’t do it. Even when friends come to them looking for job referrals, they feel uncomfortable about making these introductions. I was confused. As a referral seller, I’ve always found that people are happy to vouch for people they trust. I personally refer people all the time. The difference, Joanna helped me understand, is that clients who refer us have already experienced the quality of our work and can attest to the ROI we deliver. But we don’t always know whether our friends are qualified for the job. Want to Retain Sales Employees? Get Referrals. In a candidate-driven market, less than 5 percent of in-demand professionals are job hunting, and more than 70 percent of professionals from Fortune 500 companies constantly receive messages from recruiters. Here’s the kicker: 59 percent are “passive candidates.” These people are currently employed, and – while they’re open to discussing opportunities – they’re not actively looking for new positions. Traditional referral programs don’t work for these passive candidates and neither does social media. So how can companies meet top-notch candidates who are actively looking for work? By getting employee referrals. Joanna says referred candidates are the strongest hires and the highest-quality candidates. They get hired more quickly and stay 45 percent longer than other new hires (200 percent longer than anyone who comes off a job board). Now I was totally confused. If referral programs don’t work, yet referrals are the strongest hires, what’s left? How can companies woo talented people and get employee referrals – without putting the burden on workers to refer their friends? Joanna calls it “Strategic Sourcing,” which is exactly what her company does. When employers hire 1-Page, they gain access to the enterprise platform with more than a billion profiles. 1-Page pulls out a subset of candidates who are affiliated with the company’s employees. The company gets deep professional profiles with data that shows which candidates are most qualified and which employees are most closely affiliated to these candidates. It’s then that employee referrals work. Hiring managers can ask the closely-affiliated employee to make a referral introduction, and, because the candidate has already been vetted, employees feel more comfortable doing so. This takes the “ready, fire, aim” approach out of the hiring process, and employees no longer have to worry about their reputations being on the line if their friends turn out to be slackers. Joanne Black is America’s leading authority on referral selling – the only business-development strategy proven to convert prospects into clients more than 50 percent of the time. She is a member of the National Speakers Association and author of two books about cold calling and referrals. You can follow Joanne on Google+ or Twitter @ReferralSales, or connect with her on LinkedIn and Facebook. This entry was posted in Sales Leadership and tagged Joanne Black, Sales 2.0 Conference. Bookmark the permalink.